On paper, a programme setting Sibelius and Nielsen alongside Ravel and Zemlinsky seemed unusual, to say the least. Like a good menu, a concert needs to satisfy different but complementary needs, which is why – when done with thought – the classic three courses of the overture–concerto–symphony so often succeed. If one moves away from musical similarities or relationships then other connections need to replace them, which in broad terms is what happened here. Sibelius’s tone poem The Oceanides, Ravel’s Le tombeau de Couperin and Nielsen’s Fourth Symphony ‘The Inextinguishable’ were all begun in the fateful year of 1914. Zemlinsky’s Six Maeterlinck Songs preceded them by a couple years, but were orchestrated later. In fact it was the Zemlinsky that drew me to this concert (I had been commissioned to provide the programme note) – a chance to hear some of this composer’s music live is rare enough to be welcome in any context. And at the helm of this performance was one of the cycle’s leading exponents, Anne Sofie von Otter, who – in an interview broadcast as part of the BBC live relay (the whole concert is accessible via the iPlayer until mid-March) – expressed her particular fascination with Maeterlinck’s mysterious worlds as expressed through his enigmatic poems. 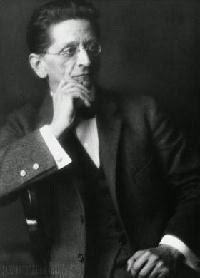 Zemlinsky’s settings often highlight this ambiguity of meaning by placing fairly simple-sounding vocal lines within a lush and harmonically sophisticated orchestral background. Indeed, in this performance, the background at times threatened to overwhelm von Otter’s ability to project the musical line and words, but Sakari Oramo was perhaps enjoying the experience of conducting this music just a little too much. Despite this, von Otter used the vocal line to express how the meaning of the words sit on the edge of comprehension, never sacrificing tonal firmness in an attempt to ride the orchestral wave. Waves of a more pictorial nature colour Sibelius’s Oceanides. This depiction of mythical sea nymphs was performed not in its familiar form but in an earlier version that has only been rediscovered in recent years, the so-called ‘Yale version’. In short, Sibelius was commissioned to write a piece for a music festival held in Connecticut in 1914, sent the score off but then set about completely rewriting it and it was this version of The Oceanides that he then brought with him to conduct in person. The original score languished in Yale University Library until restored to circulation by Osmo Vänskä in 2002. There’s more of a sense of musical impressionism in this first version, with rippling harps to the fore, and Oramo expertly set out the composer’s intricate musical layering, aided by some exquisite playing from the BBC Symphony wind. Similar subtleties of orchestral colour also marked the performance of Ravel’s Le tombeau de Couperin, which had just the right balance between delicacy and bite. Nielsen’s ‘Inextinguishable’ rightly cast aside all sense of propriety as expressed in the earlier works in the programme with its unstoppable musical momentum and emotional thrust. Marred only by a rather claggy acoustic (the ‘serviceable’ Barbican has sounded better than this, so it must have been down to orchestral positioning), this was a gripping performance, allowing the composer’s musical imagination to express the sense of inexorable forward motion without an exaggerating helping hand. Indeed, Oramo’s control was impressive and was matched by playing and ensemble that suggest that this orchestra – which can sometimes sound a bit run-of-the-mill in conventional repertoire – has found in the Finn a chief conductor who can inspire it to new heights. Hear the complete concert here.